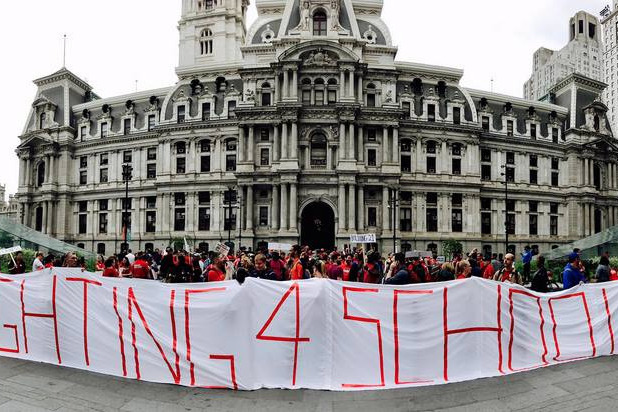 Help raise $5,000 to bring UTLA strike leaders to Philly so we can make Philly #UTLAStrong! 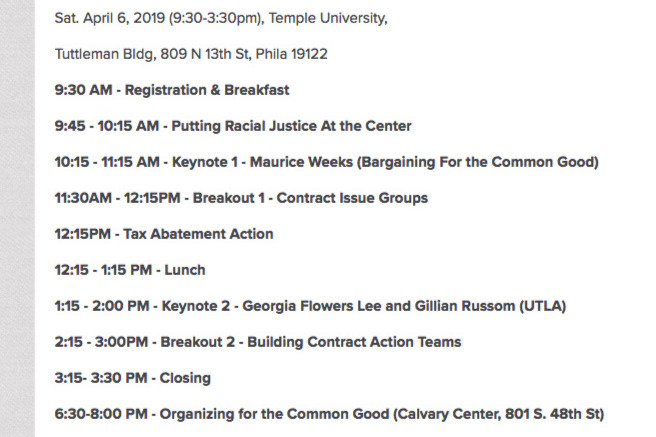 *Funds will be used to pay for Georgia & Gillian's transportation and hospitality while in Philly, as well as cover convention expenses (hall rental, food, childcare, printing/advertising, supplies, etc.). The Caucus is hosting more organizers this summer so we can continue to learn and grow as an organization. Additional funds beyond our goal will go to support that work. 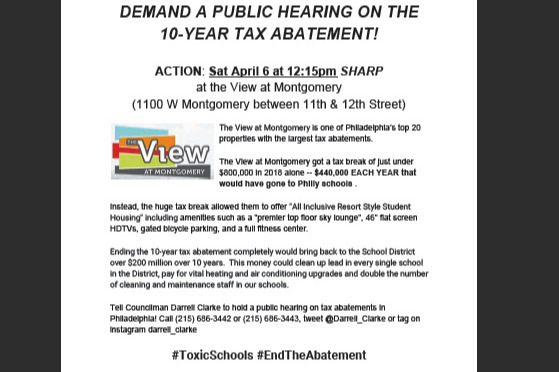 Join the action on Sat 4/6 at 12:15pm to demand a city council public hearing on tax abatements! 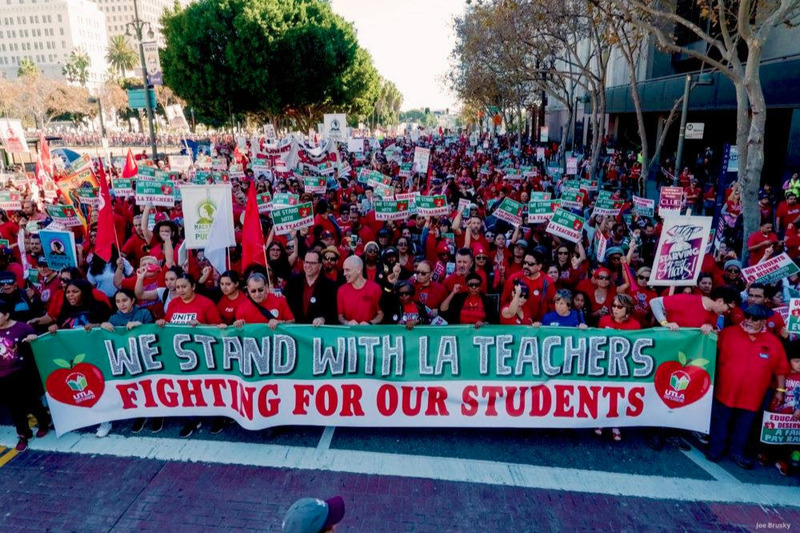 Thanks for donating to make Philly #UTLAStrong! Excited to see everyone at the WE Convention this Sat 4/6 (9:30-3:30pm).